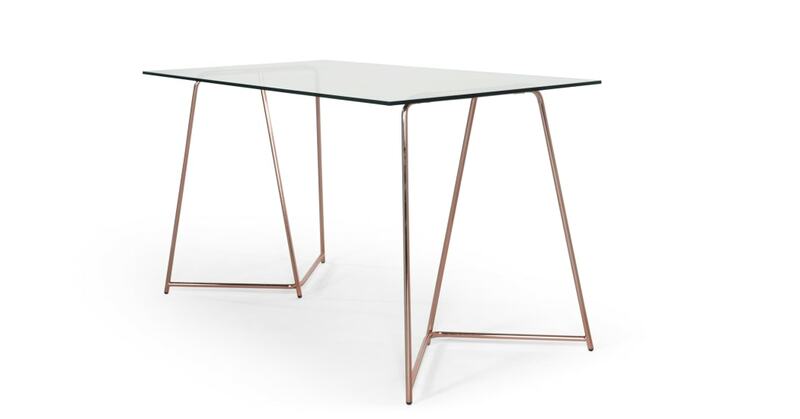 If heavy utility desks aren’t your thing, cast your eye over Patrizia. It could’ve come straight from an interiors magazine. Fortunately, the price doesn’t reflect this. The tubular legs are finished in copper and shaped into a geometric structure. This makes it extra stable, but it can still be easily dismantled on moving day.